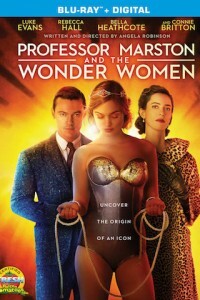 Professor Marston and the Wonder Women is based on the bold and illuminating true superhero origin story depicting the creation of the beloved comic book character ‘Wonder Woman’ in 1941 by Dr. William Moulton Marston (Luke Evans), the Harvard psychologist who helped invent the modern lie detector test. Marston’s polyamorous relationship with wife Elizabeth Holloway (Rebecca Hall) and their lover, Olive Byrne (Bella Heathcote) was key to the creation of Wonder Woman as their feminist ideals were ingrained in the character from her creation. Written and Directed by Angela Robinson (“True Blood”), Professor Marston and the Wonder Women also stars JJ Feild (Captain America: The First Avenger) with Oliver Platt (Frost/Nixon) and Connie Britton (“Nashville”). Anna focuses on an action heroine. No other information is known at this time. Two young people arrive in New York for a weekend where they are met with bad weather and a series of adventures. .